Many people associate Henrik Dorsin with Ove Sundberg in the comedy series, Solsidan, but Dorsin has a lot more going on. 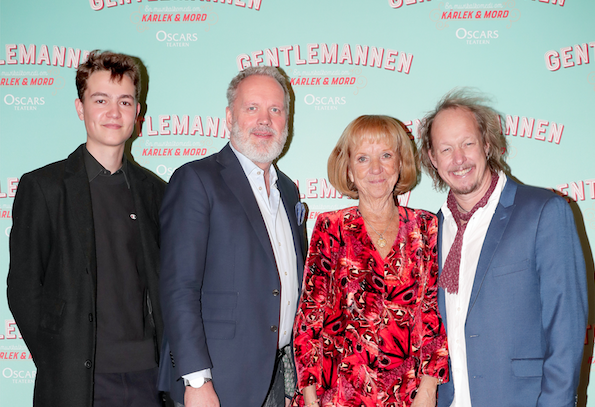 The 25th of January, the premiere of the musical comedy, the Gentleman, had its premiere at Oscarsteatern in Stockholm where he plays 8 characters! At the premiere, Petré Event took care of press and the red carpet. It was a crisp and clear January evening and many famous personalities came out to see the show. Sparkling wine and mingling was a nice warm up before show time! Makalös Mat – My Love for the French Kitchen, a real success at its own book realease!